Prisons all across the country that now operate solitary confinement administrative segregation units of control are all governed by state statutes, prison operational procedures, mandatory rules, all of which are in state law. Many prisoners who are being transferred to these units are basically unaware of these realities. This has been one of the biggest faults of ours because when you don’t know a civil right or law has been violated, there is no way to hold anyone responsible for these violations. Prisoners must obtain copies of these state codes and statutes governing all laws for the treatment of prisoners. This is imperative. After a careful review of such, then and only then may you understand what they can and cannot do. 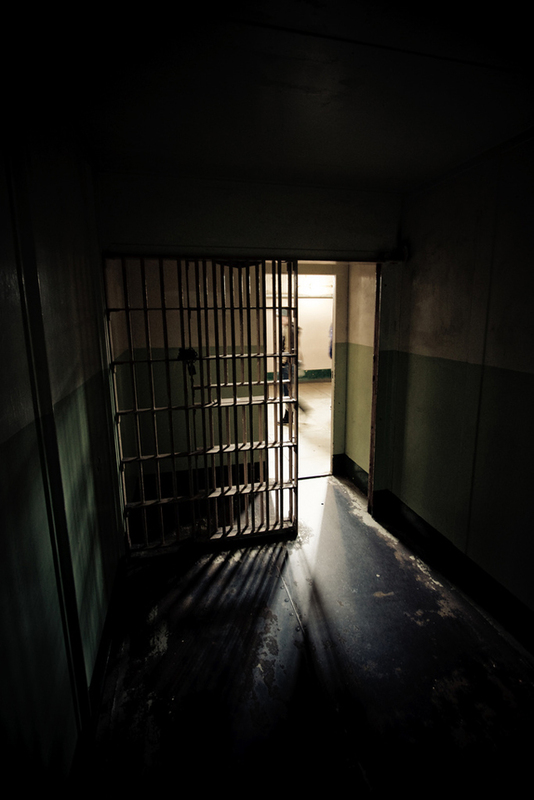 Prison administrators often know that rookie guards are inclined to violate prisoners’ rights. But most have a “code” amongst themselves that if you fail to document your complaint or allegation of abuse, it’s like it never happened. So to not keep your records or file your complaints, it’s like defeating yourself before even starting. Do your homework. These control units operate on these policies which, in most cases, vary from facility to facility or unit to unit. Their characteristics are extreme isolation, reduced environmental stimulus, scant recreational, vocational or educational opportunities, and extraordinary levels of surveillance and control of movement. All policies are not always followed, and when this happens, you anticipate abuse and dehumanization of prisoners almost every day. So, you must study these policies; it allows those of us under attack to place a shield around ourselves. Also, it helps us to keep those prone to abuse in check. Being confined to the cell for 23 to 24 hours a day gives one a lot of time to study and internalize all the rules, policies, procedures, state laws or codes, and use them to confront those responsible for our placement in these units. The state code violations must be exposed because these codes mandate the laws all citizens inside the state must follow. State employees, which include all prison guards, operate under the color of state law. So to obtain copies of the state codes for your state, where it applies to the treatment of prisoners, would be helpful to any prisoner. Having spent countless years in prison already, I am clear on how this work can exhaust anyone after a period of time. However, most times it is our self-determination and consistency that helps us get the attention of our captors. When we start a pattern of giving up early or simply never challenge the wrongs waged against us, prison administrators will never view anything we challenge as a recognizable threat to their violation of state and federal law. They are doing what they please to us now simply due to our overall lack of legal knowledge. We must become more diligent in learning how to interpret the law. Learning these things will be like loading your gun. Without your bullets, your weapon is useless. Arm yourselves so you will bring forth an effective challenge. Sensory deprivation is alive and well and is used by prison authorities who run and operate control units all across the country. Most prisoners who are sanctioned to indefinite terms will more than likely be forced to live isolated to a cell 23 hours a day. Sometimes even 24 hours. Closed inside these units, prisoners are being compelled to turn their cells into their very own laboratory. We have to study, write, exercise and create right in these cells. In most cases, you will have a cell to yourself. Some other units run the double-man cell, which ultimately can become very cramped for real active prisoners. These cells are the size of some big closets in the homes of people in society. Most of our time is spent in these cells, so we have no other choice than to come up with creative ways to use the isolation to our own advantage. Personally, I find it is crucial to use your moments of isolation to develop self-control. When we control our inner self, we have won our first battle for freedom. Because without internal freedom, you’ll never know real freedom at all. Working on our inner selves arms us with the ability to conquer the sensory deprivation of being in a cell 23-24 hours a day. Another very important issue we must develop is a good study and spiritual program. Doing it helps us to release the negative feelings that being in such an environment can cause. This small cell must become your laboratory where you create your unshakable foundation – where you develop your maturity as a person, and where all you need is right there in an arm’s reach. We should never leave our rehabilitation in the hands of prison authorities. We are our own liberators. We educate and teach ourselves. The credit goes to those of us who possess the self-determination to guide our survival in these oppressive control units all across the U.S. These units are built to contain and oppress prisoners’ resistance in the general population across the country in Amerikan prisons. They are torturing and dehumanizing prisoners every day inside secured housing units and the many supermax prisons all across this country. The ugliness of what the Amerikan people witnessed in the prison Abu Ghraib over in Iraq is nothing new to us here in Amerika. Torture and dehumanization are “tools of the trade” in U.S. prisons and supermax control units to destroy dangerous people. Prisoners are being suffocated, strangled, hanged and hit with electric stun guns. They are dying and no one in society seems to feel this is a serious problem but only a few activists. We owe it to ourselves as revolutionary and aspiring revolutionary prison activists to work diligently to expose all prison abuse. Prisoners must learn all they can about existing violations inside the units you are isolated on, then expose it to the local public in the city and state you’re located at. Turn your cell into your personal laboratory. Prisons have always been places where hostilities can be created by those who run them – solely for the purpose of keeping a perpetual wedge between Black and Hispanic prisoners. Why? This question is easily answered by acknowledging their agenda. To perpetuate racial violence inside prison, prison administrators prevent us from seeing the real source behind the problems, which is them. This is classic divide and conquer tactics, and in most cases it works. These tactics not only prevent us from seeing the real picture; they also prevent us from developing sound relations of solidarity. When we don’t work together, we become real vulnerable to be attacked without their fearing retaliation. When we are trying to come together to better our conditions, none of this can be done without mutual respect being established. This is not always an easy job, due to prisoners having different ideologies, religions, political beliefs; and these differences sometimes get in the way. This has been a stumbling block when we try to build collective unity on control units in very reactionary environments. But due to the growing levels of consciousness and development, in all U.S. prisons collective unity and understanding amongst targeted prisoners is growing day by day. We must move with this momentum when it exists and build unshakable foundations of solidarity. All prison organizers must know and come to terms with not being able to galvanize 100 percent support from prisoners – even when it is those who don’t participate in the struggle who benefit most. This is why we must have respectful communications with at least a majority of the prisoners in our environment, no matter where we are – on an administrative segregation unit, disciplinary segregation unit, security housing unit or a supermax control unit. Those prison administrators who despise being sued, exposed, written about will display reactionary tendencies. They will approve staff to beat you up, set your up or even kill you. This is a fact, and you don’t ever want to isolate yourself from your fellow prisoners, because when you need to have someone call or contact your family to inform them of your abuse, no one will care to assist you. So it is very crucial to be established as a principled person who would help other prisoners if they need you. This way, even if you’re envied or prisoners hate you out of misguided jealousies, they still will feel compelled to honor and aid you. This is key and must be established by all. We must become more observant of our current situation, and become masters in whatever we know our gifts to be. We all have a purpose. Some of us, through trial and error, have grown to know what our purpose is. While most of us remain trapped in a whirlwind of misguided emotions and utter blind confusion, you can discover what your life’s purpose is. Everyone has a purpose, and through the host of your countless experiences, this purpose is discovered. Without ever discovering our purpose in life, our souls will drift as a ship at sea tossing and turning. There is nothing more solid than he or she who’s confined in prison or housed in control units taking an active stand and participating in all meaningful, positive and wholesome activities. Many prisoners segregated in control units are being denied access to actually attend class for college. But we are being granted access to take our G.E.D. and pay to enroll in courses through mail correspondence. Also we can obtain a host of certificates of achievement by taking courses from the Federal Emergency Management Institute free of charge. Also, there are a wide variety of religious schools of thought that offer prisoners a chance to earn a lot of certificates. They, too, are free of charge when a person is convicted and sent to prison. When going back into the courtroom, it’s proven beneficial for many to produce certificates before the judge ruling on your appeal or modifications of sentence motions. Your prison may also offer substance abuse and anger management courses, where you can obtain a certificate of achievement once the course is completed. Many of the federal grant programs once readily available are now bankrupt and prisoners are hindered in their pursuit of higher education. Prisoners who are housed in control units, administrative segregation units and disciplinary segregation units, for the most part, can’t attend actual college classes, and must pay for college through mail correspondence. When prisoners become proactive and not reactive, it’s like taking back their lives. So it’s very important to play an active role in your own survival and emotional, social and political development. Society on a daily basis is being influenced by the Amerikan media’s social commentary. Much of this propaganda is overwhelmingly anti-prisoner. So when prisoners are all being castigated 24/7, citizens are not quick to assist us. But being able to show your achievements while on the inside can destroy the many myths or stereotypes being propagated. This is extremely important. Take charge of your life by taking your life back. Prisoners have a right to write in to their local governors, state representatives, legislators and others to complain about non-existent educational programs. State law and state codes require all state facilities and federal institutions to operate a program service and educational outlet for its prisoners. If prisoners fail to hold those officials responsible, educational advancement will be non-existent in these units. In solidarity, I stand by you and in struggle I stand with you, and I salute you with a closed fist. Send our brother some love and light. Write to: Terrance E. White, 200632909, Robert Presley Detention Center, P.O. Box 710, Riverside, CA 92502. For help in defending your rights, read Mumia’s latest book, “Jailhouse Lawyers: Prisoners Defending Prisoners v. the U.S.A.,” available for $11.87 from City Lights Publishing, 261 Columbus Ave., San Francisco, CA 94133, www.citylights.com, (415) 362-8193.